Home / Tips & Trick / How to Export Adobe Premiere to mp4 (H.264 Video Rendering) Work !!! How to Export Adobe Premiere to mp4 (H.264 Video Rendering) Work !!! How to Export Adobe Premiere to mp4 (H.264 Rendering Video) Work !!! – Hi, all the old ones did not meet. I am now updating posts on my blog to find out how to export files in adobe premiere that we have made to mp4 format so that the sizenya file also becomes small. 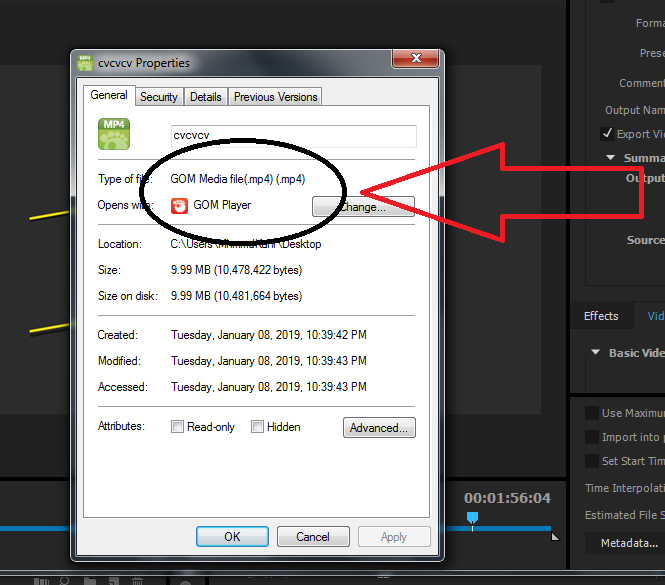 so also this method will work in adobe after effect if you install it on your PC at the same time. for Windows, it is a bit different from Macintosh because in Windows it doesn't have the default format like h.264 in the application, therefore we have to need a help application called Quick Time Alternative which is usually also used by others if they use Windows as their operating system. use. In the Operating System Windows does not have the default format for exporting h264 or ordinary files you often call this mp4. it may not exist or exist on the windows above, so I don't know too much. but so far maybe the majority of you use Windows 7 like I use, then you will get the same obstacles as I experienced. Alternative Quick Time here is very necessary or must be installed on your computer so that the h264 format that you want appears, you could say this is an additional plugin for Windows, even though the application or software is actually the property of Macintosh. but now it is available for download on the internet for use on the Windows operating system. So as I explained above, you must first install Alternative Quick Time on each of your PCs … now by any chance there are special windows for you to download on link below. After downloading you must install it on each of your computers, please install as usual you install other software on your PC. If the Alternative Quick Time is already installed properly on your PC, then the next step is to read my explanation below ..
Before Entering This Step * Please Read Above First * Now Don't Understand Deh ..
Basically [adobe premiere] this is a package with adobe encoder as well as adobe after effect one package with adobe encoder. Adobe Encoder is a special software created by Adobe that is used to render a video into the desired format including mp4 or commonly called H.264. this software is usually a package with adobe premiere which is used to render videos that you have created or edited in adobe premiere. So you could say this is additional software to complete the tool to make the video finished. Well here for default from adobe encoder there is also no default format for exporting mp4 files, so I suggest to install the Quick Time Alternative above, its function is to export the file to mp4 or you could say to add a new extension. If you already know a little of how it works adobe encoder, then we will go into the next stage of explanation. [Adobe 90] and Adobe Encoder Must Have the Same Version. It is important to know that the application what you will install on your PC must have the same version, for example I use adobe premiere pro cc 2015.4 then you have to install adobe enc oder pro cc 2015.4 Also, because different versions will not support the program running properly … sorry, I can't handle the download link for these 2 software, you can search on google to download it. How to Export Adobe Premiere Ke mp4 uses Adobe Encoder. 1. Open the Adobe Premiere Anda Application. 2. Prepare the Video You Have Edited. 3. Click >> Export >> Media ..